There are quite a lot of varieties of buckwheat pancakes to choose from on the menu, from a plain buckwheat pancake for 35 dkk to one with ratatouille, egg, and chives for 90 dkk, to one with salmon, caviar, chives, sour cream, red onions, and salad for 125 dkk. I have never tried any of those though, the one I always get is the Complete for 80 dkk. It has ham, egg, and cheese. It is simple, but tasty. It’s a really good light lunch or dinner. The buckwheat pancake is gluten free, and it is toasted in butter so it has a really good flavor. 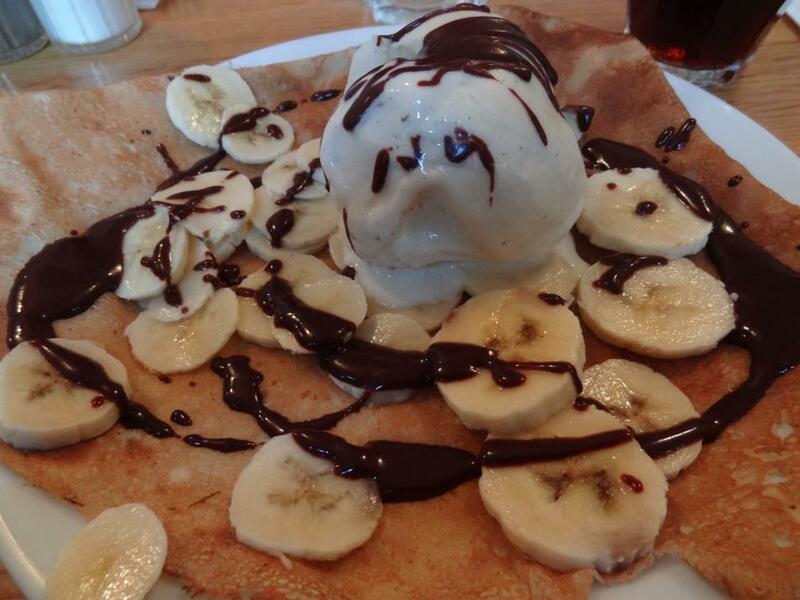 If you are still hungry you should order a sweet pancake for dessert. The sweet pancakes cost between 30 and 60 dkk, and it is 10 dkk extra if you want to add ice cream. 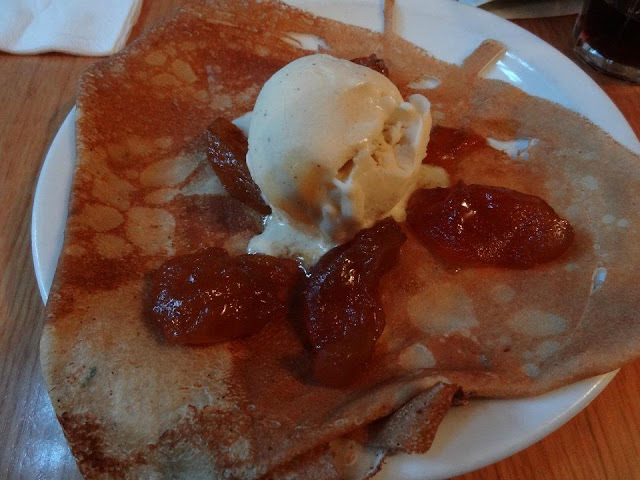 I have tried one with banana and chocolate sauce, and I’ve also tried one with caramelized apples, which was really delicious. There is also a lunch special from 12 – 16, where you can get both a sweet and savoury pancake, plus a drink for 110 dkk. The choices are limited, but I think it’s a pretty good deal anyways. I also noticed there is a pancake of the day written in the restaurant (not on the menu), so look out for that. 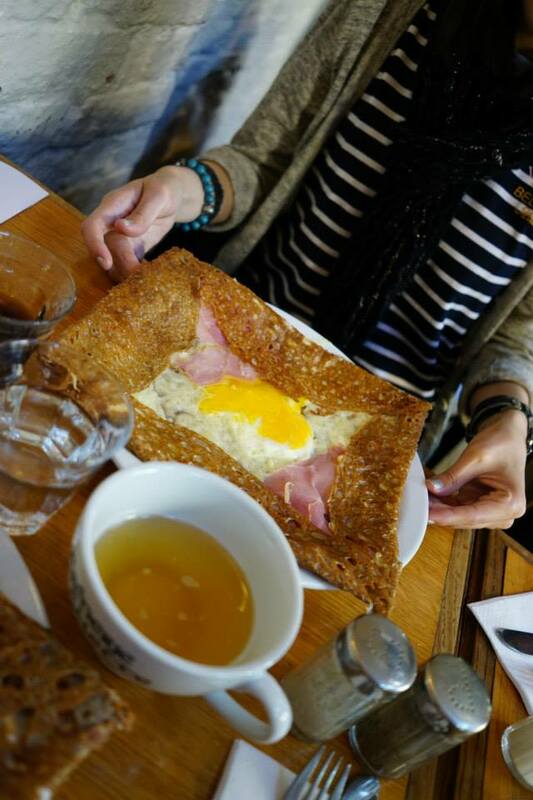 Let me know if you have tried a Galette before. What did you think?